For over 80 years, South Staffs Musical Theatre Company has been entertaining audiences at the Grand Theatre with their popular musical theatre performances. 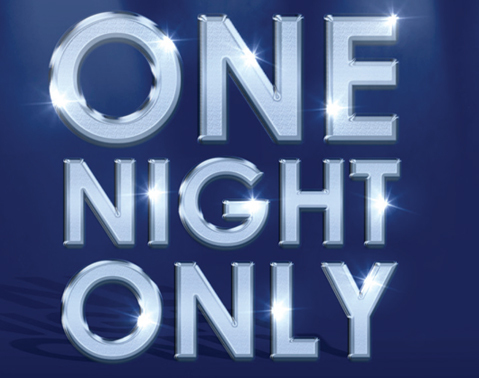 This award-winning company is now delighted to announce ONE NIGHT ONLY, a concert compilation of show tunes, drama, dance and comedy. Bursting with musical theatre classics, as well as excerpts from new, up and coming shows, this evening of spectacular entertainment will appeal to all age groups and preferences from Rodgers and Hammerstein to new shows just transferring from Broadway, and hilarious comedy selections to our very special guest, Britain’s Got Talent star, Donchez Dacres. It may be for ‘One Night Only’, but it will certainly be a night to remember! You can book tickets direct from the Grand Theatre.